The expression “Section 27 Recovery” itself is a misnomer. There are other instances of misapplication and mistaken assimilation of the underlying principles behind this important topic in the criminal justice system. This Section is considered to be a proviso to the preceding Sections 25 and 26 of the Evidence Act. Section 25 forbids proof of any confession made by an accused person to a police officer. Section 26 disallows proof of any confession made by an accused person while in the custody of a police officer. But, if the information supplied by the accused results in the recovery of any incriminating object from a place which was, till then, within the exclusive knowledge of the accused, Section 27 allows such information to be proved. Now, let us examine the mechanics of Section 27. The word “fact discovered” in Section 27 is not merely the physical object such as “dead body”, “weapon” or “ornaments” connected with the crime, but also the place from where the object was produced and the knowledge of the accused regarding the said place. (vide Pulikuri Kottaya V/s Emperor AIR 1947 PC 67; Pandurang Kalu Patil V/s State of Maharashtra AIR 2002 SC 733). the knowledge of the accused regarding the same. But, in order to bring the case under Section 27, it is not necessary that the accused himself should be the person who concealed the object. (vide Ajayan @ Baby V/s State of Kerala 2011(1) KLT 8=ILR 2011(1) Kerala1(Kerala FB)) Authorship of concealment is a factor which will, however, be considered by the court while evaluating the evidence to see whether it has got an element of criminality tending to connect the accused with the crime. 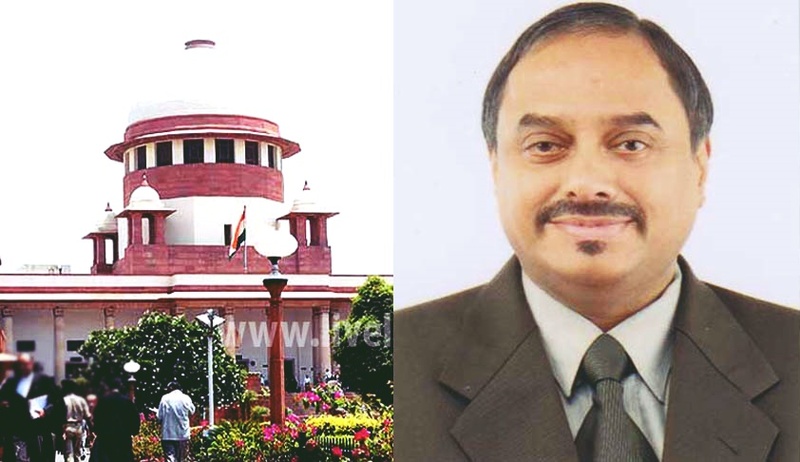 (vide Golden Satheesan and Others V/s State of Kerala 2012(1)KHC(SN) 27(DB)). Information as to the past user or history of the knife recovered (that it was used by the accused to stab the victim) is not related distinctly to the discovery of the fact. Here, the highlighted portion which states about the past user of the weapon is inadmissible. This is founded on the theory of confirmation by subsequent facts. The information from the accused leading to the recovery of the object is made admissible irrespective of the fact whether it was or was not improperly or illegally obtained. Thus, Section 27 is not only a proviso to Section 26 but also cuts down the operation of Sections 24 and 25 as well. Although a confession by an accused caused by inducement, threat or promise (covered by Section 24 of Evidence Act and Section 163 of Cr.PC) or a confession made to a police officer either in custody (covered by Section 26) or not in custody (covered by Section 25), is inadmissible, the ban imposed by the aforesaid Sections is partially lifted if his statement contains any information leading to the discovery of a fact provable under Section 27. (Vide Ram Mithanlal Sharma V/s State of Bombay AIR 1955 SC 104 at 116). There is a popular misconception that the statement of the accused is recorded under Section 27 of the Evidence Act. Many are ignorant of the fact that it is under Section 161 Cr.PC that the statement of the accused person is also taken and recorded by a police officer conducting the investigation. Those many seem to be under the mistaken impression that Section 161 Cr.PC is a provision enabling the interrogation of a witness only by an investigating police officer. The words “any person supposed to be acquainted with the facts and circumstances of the case” occurring in Section 161 Cr.PC are wide enough to include an accused person as well. (Vide Pakala Narayanaswami V/s Emperor AIR 1939 PC 47 followed in Mahabir Mandal V/s State of Bihar AIR 1972 SC 1331). So, the true legal position is that even though the investigating police officer is entitled to interrogate an accused person and reduce his statement into writing by virtue of his power under Section 161 Cr.P.C, the said statement is tabooed under Section 162(1) Cr.P.C. But, if any portion of such statement falls within the contours of Section 27 of the Evidence Act, the said portion will be admissible and is taken out of the embargo under Section 162(1) Cr.P.C. in view of the exemption under Section 162(2) Cr.P.C. Incidently, there is yet another false notion among some of the practitioners of law and the judicial personage that whenever there is a recovery of some incriminating object pursuant to the information received from the accused, all statements made by the accused while giving the information, are admissible under Section 27. Discovery of facts however important they may be, does not render admissible all that the accused in custody has said in connection with such discovery. The wording of Section 27 which reads “so much of such information ------------------ as relates distinctly to the fact thereby discovered” puts one on the guard and indicates that the information received from the accused has got to be dissected and the relevant portion alone should be made admissible and the irrelevant portion is to be eschewed from consideration. That part of the statement which leads distinctly or directly to the fact so discovered alone is admissible. (Vide Pulikuri Kottaya (Supra); Rijo V/s State of Kerala 2009 KHC 1145 = 2010 Cri L J 1315 at 1333 (Kerala DB). The word distinctly has been interpreted to mean “directly”, “indubitably”, “strictly”, “unmistakably”. (Vide Mohd. Inayatullah V/s State AIR 1976 SC 483; Anter Singh V/s State of Rajasthan AIR 2004 SC 2865). It is thus clear that what is admissible under the Section is only that part of the accused person’s statement which relates distinctly to the discovery of the fact. The highlighted portion of the above statement, not only mentions about the past user of the weapon but also contains a confession by the accused. It is totally inadmissible since the said portion does not distinctly relate to the fact discovered which is the factum of the chopper kept concealed at the place mentioned by the accused and the exclusive knowledge of the accused regarding the said place of concealment. Even when such permissible information is admitted in evidence, it does not constitute substantive evidence. It can only be corroborative evidence to show that the accused was aware of the whereabouts of the weapon. It is only when the knife is otherwise proved to have been used in the commission of the offence, does the fact discovered becomes relevant as a piece of corroborative evidence. (Vide Mustkeen V/s State of Rajasthan AIR 2011 SC 2769; S.K.Yousuf V/s State of West Bengal AIR 2011 SC 2283). Merely because the recovery of the knife was at the instance of the accused it cannot be said that the accused was the perpetrator of the crime. (Vide Deva V/s State of Rajasthan AIR 1999 SC 214). He (the appellant/accused) has explained the way in which the accused committed the crime and shared the spoils. He disclosed the fact that one Munna Manjhi was the head of the team of assailants. He disclosed that the crime was executed as per the plan made by the said head. He categorically stated that he and Rampati Manjhi were guarding at the outside while the other accused were committing the theft. The above statements of the accused recorded under Section 161 Cr.PC and relied on by the Supreme Court as falling under Section 27 of the Evidence Act, in my humble opinion, go beyond the pale of admissibility under Section 27 since those statements do not distinctly relate to the “fact discovered” within the meaning of Section 27 of the Evidence Act. If all confessions made by an accused person while giving a statement resulting in the recovery of an incriminating object, were to be made admissible under Section 27 of the Evidence Act, that will spell a travesty of justice permitting confessions inadmissible under Sections 25 and 26 of the Evidence Act to common record through the back door. The concept of fair trial guaranteed under Article 21 of the Constitution of India would then be the first causality. Justice V. Ramkumar is a Former Judge at High Court of Kerala.